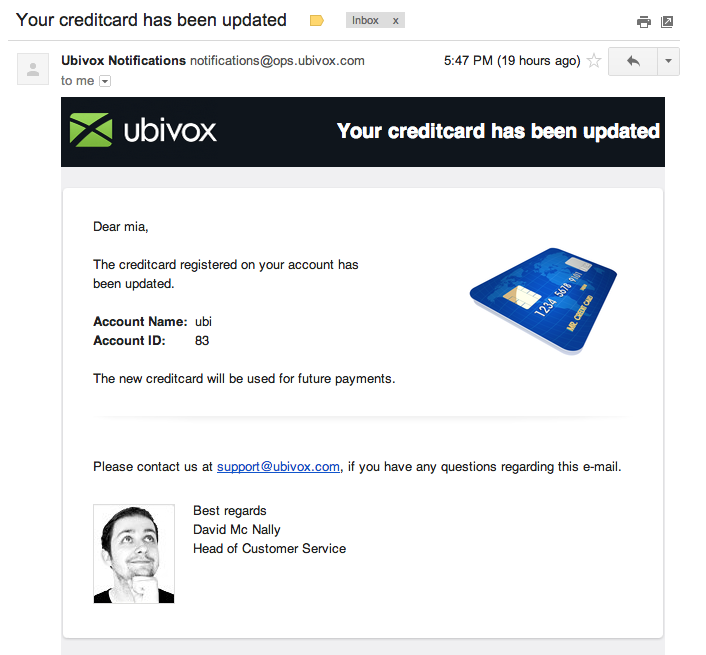 You are able to create a new user at Ubivox. 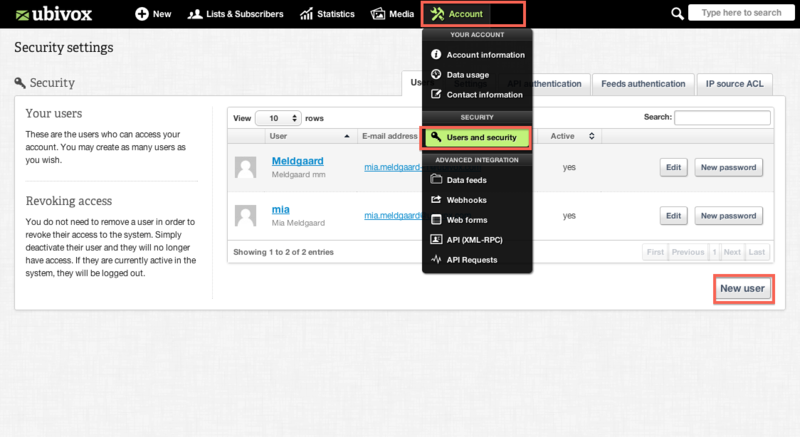 This is done at Account --> Users and security. If a user is to no longer have access to the system the user can be deactivated using the checkbox Active. Once changed the user(s) will be logged out. The user must chose his or her own language. It is possible to chose a different language than the other users. 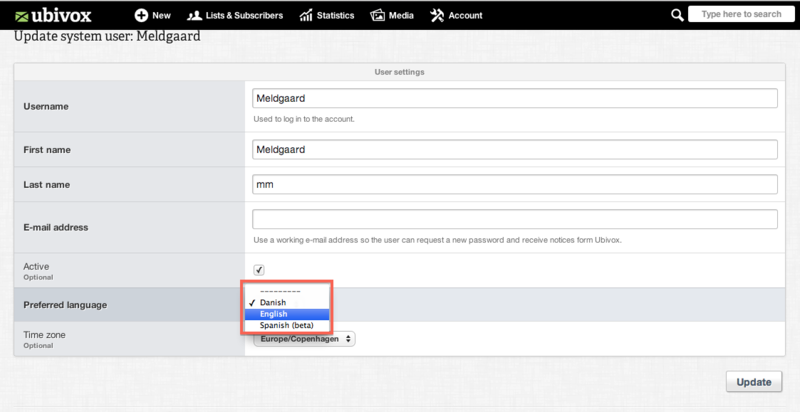 Hence it is possible for one user to chose Danish and for another user to chose English. 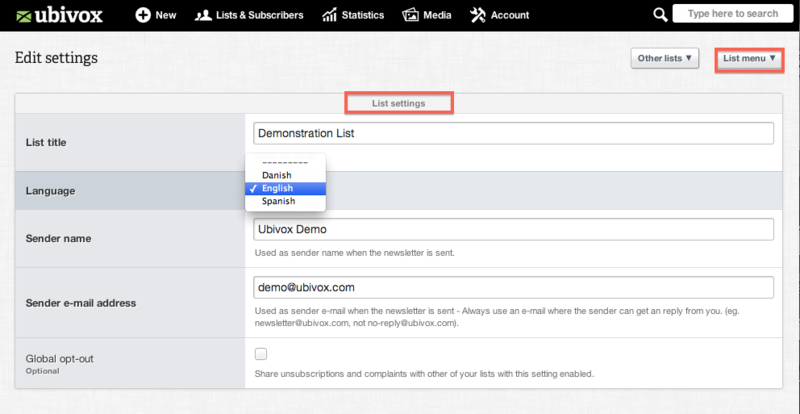 There are other places in Ubivox where you have to consider which language to chose, for instance Notification language. 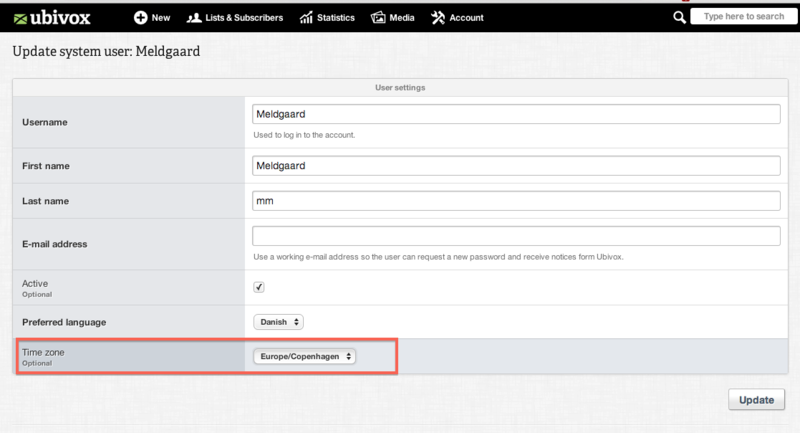 List language: Chose the list you wish to edit and go to List menu --> List settings. 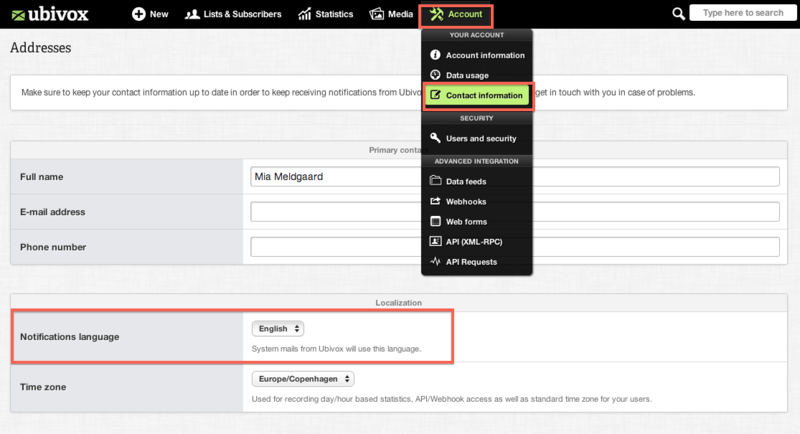 The language you chose for a list, will be used when showing info to a potential subscriber, i.e. forms and the archive will be displayed in the chosen language . This guide elaborates the advantages of only using one list compared to several. This guide shows you how you can archive or hide a list from the interface. Can I get my newsletter as a PDF? It is possible to have a copy of your newsletter as a PDF. This guides guides you through the process. Why do a subscriber receive the newsletter more than once? If a receiver receives the newsletter more than once it is because the receiver is subscribed through 2 or several e-mail addresses. Thus guide elaborates how to solve this problem.